As we know, the Maplestory V begins Nov.30. Nexon will be releasing the “V” update December 15. To get more after the update, what should we do before 5th Job? As we mentioned before, starting from level 200, characters can now unleash their true powers by activating a host of 5th job advancement skills. So, the first thing you should do is level up to 200. You need to be level 200 to do 5th job advancement. Plus, the experience needed for level 1-200 has decreased, which makes leveling even easier! Even now, you can level a character from level 1-200 in just few days! What is so hard about that! You need to kanna to kishin on new maps in arcane river (level 200-250 maps). As level 220 kanna is rare nowadays, you can make use of this kanna to offer 1b/hour service. You need bishop to HS your characters. You need drop rate equips to get arcane symbol to up your arcane force which is needed to kill Lucid with FULL damage! No doubt, a level 200 char level up to level 220 in arcane river only manages to get 6 arcane symbols throughout the whole leveling process. Get greed pendant (20% drop rate) and KK chair (x2 drop rate) NOW! As arcane symbol is considered as an equipment, greed pendant helps. KK chair gives FREE x2 drop rate after 30 mins of using it! You can predict that this arcane symbol is sort of like confusion fragment which can worth up to 1b+ each. Even a guy with 856% drop rate gets only 56 arcane symbols in 20 levels from level 200 to level 220. As leveling up your V matrix or whatever, this requires up to 2.6b mesos according to a Youtube video. Keep your mesos now. The V update will add an all new boss named Lucid: Master of the Nightmares, which Nexon is billing as the “most difficult boss in Maple history”. To kill Lucid, info from Youtube that this boss drop “something” that can exchange for level 200 weapon which has no info for now… but it is surely better your fafnir weapon. Are you ready for the V update? If not, come back to this tips article for Maplestory. For more information on the V update, head on over to Maplestoryer.com. 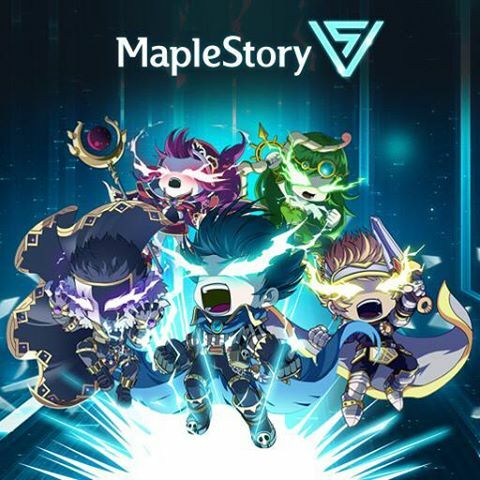 Moreover, Maplestoryer.com as one of the most professional online store which glad to share more Maplestory News and cheap maplestory 2 mesos with instant delivery.